September is the month of the new arrivals. 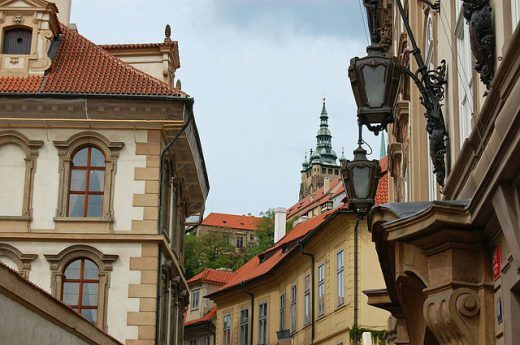 International students and young professionals arrive to the Czech Republic eager to find their new home in the middle of Europe. According to the statistics, most of them will stay for at least 1 year, although, some may move to CZ permanently. Let’s speak more about what it is like to move to a foreign country and what it takes to adapt to a a new culture. Needless to say you’ve got to be open minded enough even to consider moving to another country. Living abroad long-term (and a minimum stay of 1 year can definitely be considered long-term) requires a whole new level of opening your mind towards everything new. Especially if the country you’re moving to has a very different culture and mentality to what you’ve been used to. People in this foreign country can do things differently, maybe in a more slow/inefficient/stupid (in your opinion) way. Try not to get frustrated and accept this fact, it will make your life easy and stress-free. Know where the most disappointment сomes from? From having too many expectations! Of course you can’t avoid thinking and visualizing on what your new life abroad is going to be like. But listen to this, reality will never be as you’ve imagined it. And that’s a beautiful thing about life, it will always catch you by surprise. Instead of expecting too much, do your research, read more about the culture you’re about to embrace, a little about history and the living standards. A good thing is to try and find somebody who already lives in the country you’re about to move to, maybe even a local, and have a chat about what real life is like. This will help you to build a real picture and prepare yourself for the move. Every life situation has a bright side. In the moment, you might think everything is just awful and there is no way out. Like when you can’t find an apartment, your new job starts in a few days, which is stressful enough,and the last thing you need now is to have no place to stay. What’s so positive about that, you may ask? Well, the Universe might be saving your dream apartment for you, so don’t lose hope, set the list of your priorities straight and enjoy the process. It’s common to feel lost and lonely in the new environment, when all your friends stayed behind in your home country. Think ahead and start creating a new social circle, be proactive, don’t wait till new friends will find you. Where to make friends? For example, at your job or university you’re likely to meet expats, who have recently moved abroad just like you. In the Czech Republic, Foreigners.cz organizes monthly MeetUps for foreigners – free social events where you get a chance to meet fellow expats and have fun. Take a look online, there should be plenty social events around your new temporary home. Use MeetUp.com or Facebook events for suggestions. I’ve lived in a lot of foreign countries, but I’ve never had a waiter refuse to serve me food as I did on Friday in Ricany. Good old CCCP attitudes, eh? !